Animal Wildlife | Kangaroo | The kangaroo is a marsupial that is indigenous to Australia and and the Indonesian island of New Guinea. 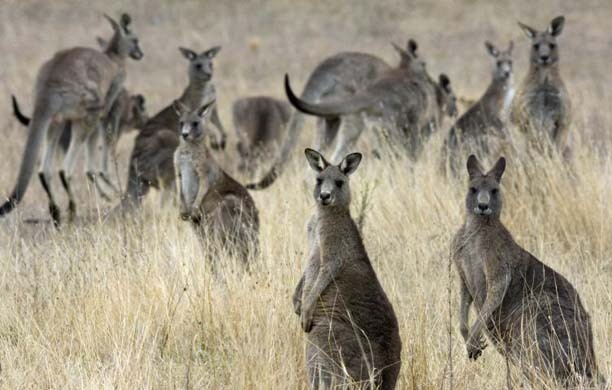 Although kangaroos are often seen congregating in groups, kangaroos are generally fairly solitary mammals but kangaroos are also known for being sociable animals when with other kangaroos. 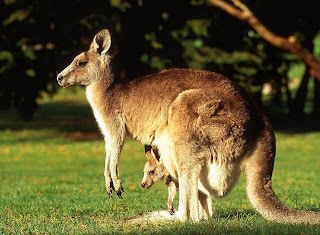 Kangaroos have a deep pouch on their front in which to carry their young. A baby kangaroo is called a joey. 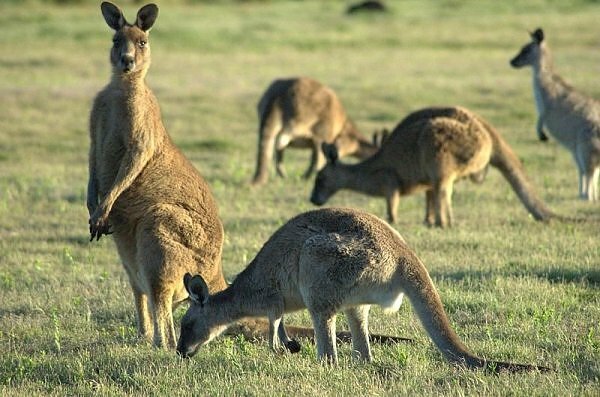 Kangaroos eat plants, nuts, berries and insects that the kangaroos rummage for in the arid wilderness. 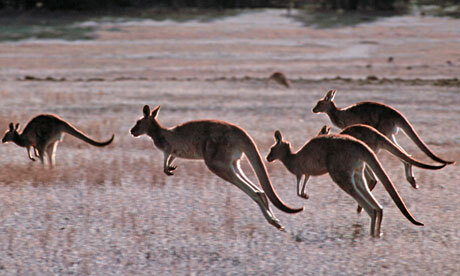 Kangaroos are most well known for their ability to jump a phenomenal distance. The kangaroo is the largest of the marsupials, a group an animals that includes koalas and the common brushtail possum. Marsupials are distinguished by the pouch that these animals have on their bellies, in which they carry their young. 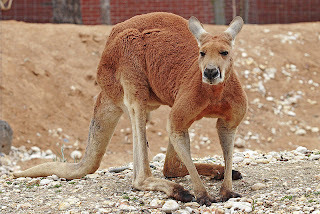 There are three main species of kangaroo in existence today and these are the red kangaroo, which is the largest and most well-known of all the kangaroo species. The Eastern grey kangaroo is known to be the heaviest species of kangaroo despite the fact that the red kangaroo is taller. The western grey kangaroo can be found in large numbers and can be anywhere in colour from grey to brown. The kangaroo is the national animal and emblem of Australia. 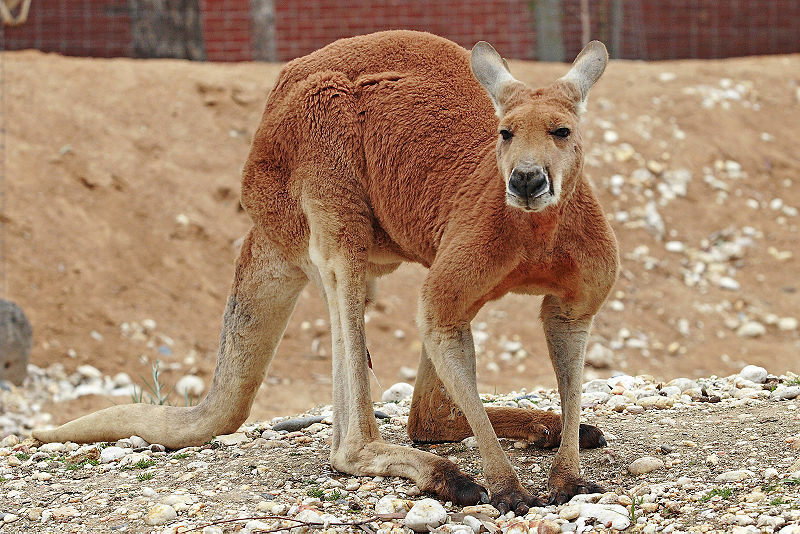 Kangaroos have large, flat feet which the kangaroos use in order to aid their movement which the kangaroos do by hopping. Despite the fact that kangaroos do not move about in the conventional way, kangaroos can often be seen running at high speeds, generally when the kangaroo is scared or being chased by oncoming predators. Although kangaroos are not commercially farmed, wild kangaroos are often pursued by human hunters for sport, meat, fur and when farmers are conserving their grazing land for their sheep and cows. This method of sustainable hunting is said to have more health and environmental benefits than that of sheep and cattle.